All along the Grand Strand, you will find over 100 golf courses. What else would you expect in the Seaside Golf Capital? With all those golf courses, there are a number of resorts as well. 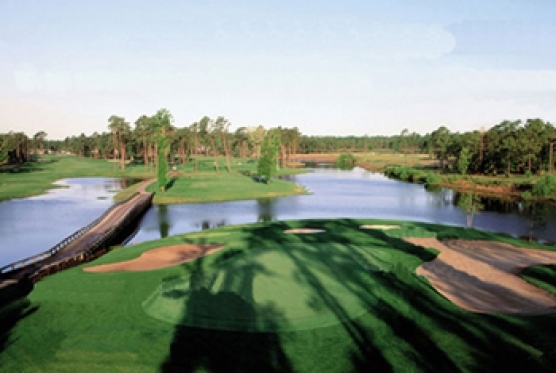 In the North end, when it comes to outstanding resorts, you should think Myrtle Beach Golf – Barefoot. Barefoot Resort is home to 4 courses – all by legendary designers, all in one location. 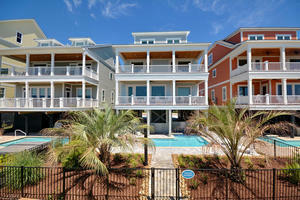 Myrtle Beach golf Barefoot Resort is not only home to 4 golf courses, many other facilities that golfers will love. The practice range consists of over 30 acres of perfectly manicured grass to work on your golf game with. Want to practice at night? You are in luck when you are in Myrtle Beach for golf and go to Barefoot – they have a lighted practice facility! In addition to the practice, facilities are Putters Pub that serves a gold beverage and pizza, and two golf academy’s that you can visit when you are in need for a little help with your golf game. The grand opening of Greg Norman’s Champions Golf Academy took place back in August of 2012. The facility consists of a 10,000 sq. ft. clubhouse that is said to be the second largest golf academy in the country. Included in the academy is a gym (that has Cybex workout equipment), locker rooms for both males and females, a number of offices and a meeting room, a club repair station, two classrooms and three covered hitting bays that are both indoor and outdoor! This is the perfect spot to work on your short game with a huge putting green and smaller flat putting greet, plus a large chipping green, plus three bunkers with greens to work on your 10 – 70-yard bunker shots. Another reason to think Barefoot when you think Myrtle Beach Golf is the Dyer Golf Academy. Located in Barefoot as well, this golf academy offers private lessons for people of all skill level. Best thing is that reservations for private instruction are not needed. Alasdair Dyer has been working with people for over 20 years and has worked with some top touring pros. The entire staff wants to work with people to help them – whether it’s a beginner or professional they will help you score better and have fun when you are playing on the course. They also offer packages for lessons and families. They also offer weekly clinics on Monday, Wednesday, and Friday from 10 am – 11:30 am.